This is a story about four brothers: Wang Ki-baek, the eldest one who works as a plastic surgeon; Yi-baek, who barely graduated from college thanks to his mother, who built a swimming pool for his university to obtain his diploma; Sam-baek, a business administration major whose business administration skills are way too dubious; and Sa-baek, the youngest of the brothers who takes after Yi-baek, the most pathetic of the brothers, but who looks the most gorgeous among the four. 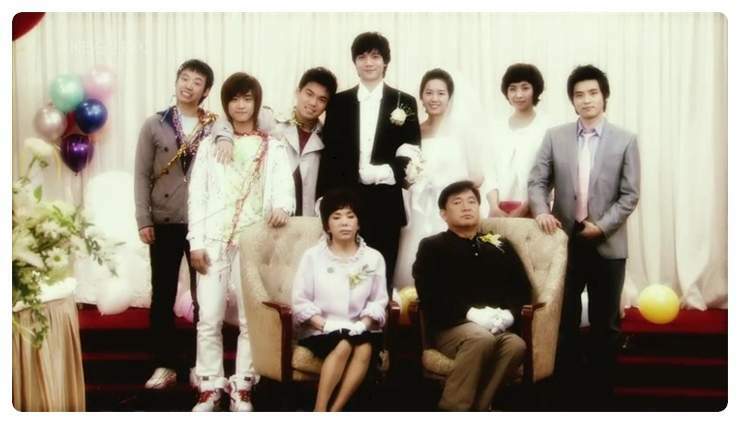 Their mother, Mal-nyeon, is a hotel owner who is eager to have her sons get married to daughters from families of a high social status in order to make her own family join a high-class society. But the hotel she bought to “upgrade” the quality of her life becomes an apple of discord in the marriage deal. 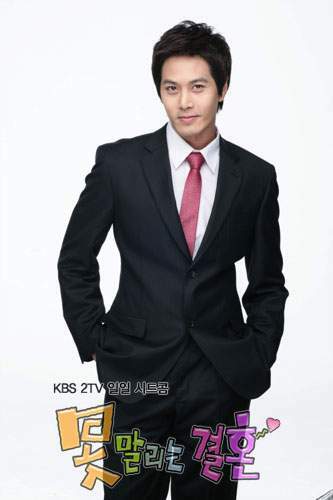 Her troubles begin when she meets a district official named Ku Kook to obtain permit for expanding Ki-baek’s hospital. As Kook refuses to issue the permit, Mal-nyeon decides to bribe him but ends up in jail. They become each other’s biggest enemy when the construction site of a resort being built by Mal-nyeon is found to be home to the grave of Kook’s deceased wife. Their unfortunate relation peaks when Mal-nyeon’s much-adored son Ki-baek and Kook’s precious daughter Mi-ho announce that they want to get married. Shim Mal-nyeon: A mother of four sons, she has gone through numerous hardships to raise her kids on her own after her husband left 26 years ago promising to come back after earning money. She lived a life of toil, starvation and sacrifice to provide her sons with a decent life. Firmly believing that a family is well-off when the eldest son is well-off, she has dedicated her utmost effort to raising and educating Ki-baek. Wang Ki-baek: Thanks to his enthusiastic mother, Ki-baek grew up with all privileges despite his family’s dire straits. He became an obedient son to his mother after seeing how much sacrifice she has made for her children while raising them all on her own. He has always believed that being a good son is the best way he can repay his mother’s love. To women, he is Mr. Right because he is a good-looking professional and a son of a hotel owner. Ki-baek likes to flirt with women but he religiously abides by the rule that he must marry a woman that his mother will pick for him. Ku Kook: A straightforward and honest public servant, who firmly abides by rules and principles. Since his wife’s death about 20 years ago, he has dedicated his life to his only daughter, Mi-ho. He has a special affection toward the daughter of a married couple that rents his house, because the girl, Ok-hee, reminds him of the difficult time when he had to raise his daughter all on his own. He even brushes Ok-hee’s hair and takes her to sports competitions on weekends. 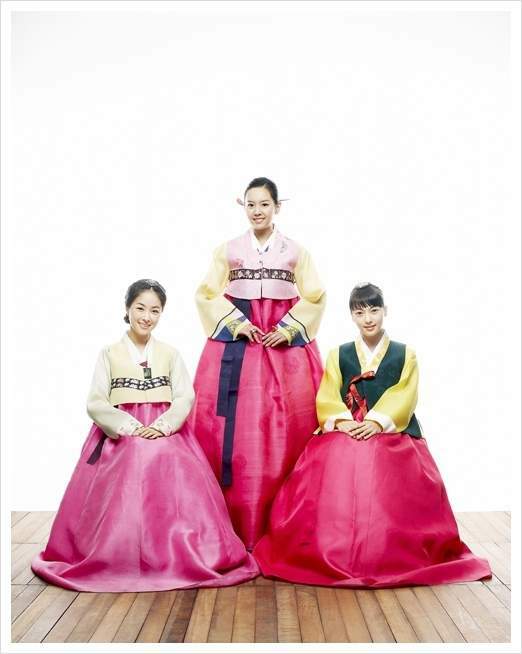 Ku Mi-ho: Though she grew up without a mother, Mi-ho has a cheerful personality. She acts as an arbitrator in all kinds of situations thanks to her excellent arbitrating skills because she had to settle disputes many times between her law-abiding father and his sister, who always countered his principles. That also explains her choice of a profession: she is a hotel concierge, who has to deal with customers’ complaints. Girl's Generation Sooyoung not to star in drama "Speed - Drama"
"Cooking Up Romance", a brand new drama series on KBS 2TV, is off to a smooth start. According to AGB Nielson Media Research, the first episode of "Cooking Up Romance" recorded viewer ratings of 9.6%. 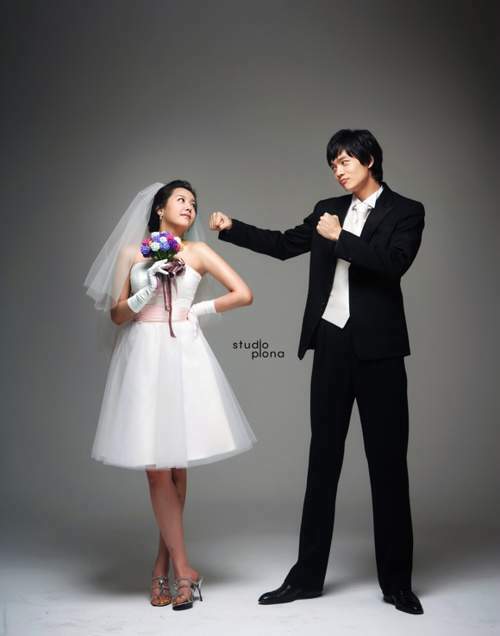 The daily sitcom 'Unstoppable Wedding on KBS 2TV is gaining popularity abroad after it was introduced in a Japanese magazine. Veteran actress Kim Soo-mi has expressed strong commitment to the new challenge of starring in a sitcom. View all 96 pictures for "Unstoppable Wedding"
This movie seems a nice movie to be watch. Can't wait for the CD's / DVD's in Malaysia market. I love this show!!! Shim Malnyeon is so funny!! !